Cannot remember the last time we lepak at the beach! 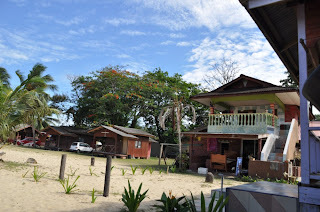 It was probably when we were still living in Kerteh. Everyone had fun especially little Sumayya, she just lovessss the sand. 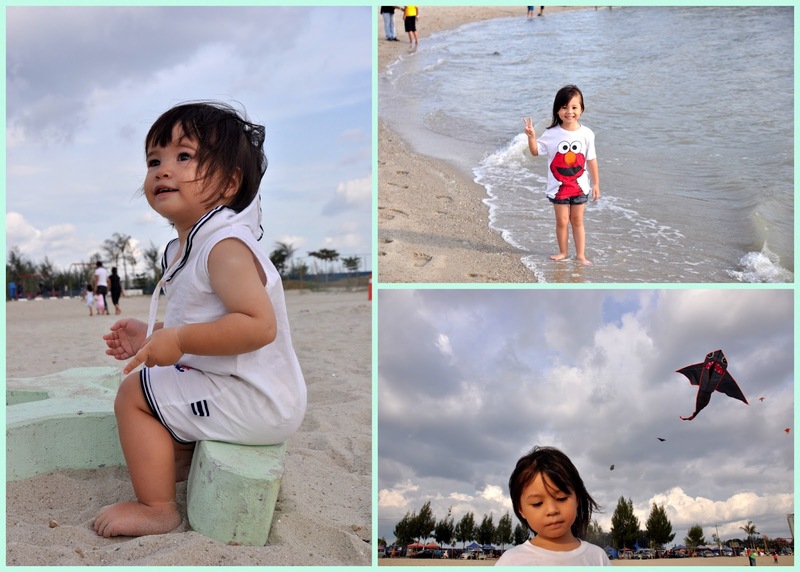 Our other kids, especially Hanan used to fuss over having sand on her feet, asik nak kena basuh je kaki.Sumayya siap tempek-tempek sand on her face =) She even tried to eat some!haha. Hadi bought the girls kites. We all waited in the car for him to make the purchase and Salma and Hanan were in the car with their heads out the window telling Hadi the kites they like. "Babahhhhh, nak yang..." Alih-alih Sumy mencelah dekat window and said "Babahhhh" in the same tone as the other girls..haha,pandai dah lepas ni, pening Babah! Kopak mak ayah bila semua anak nak naik horsie! Haha, might be cheaper in the long run to buy a horse! 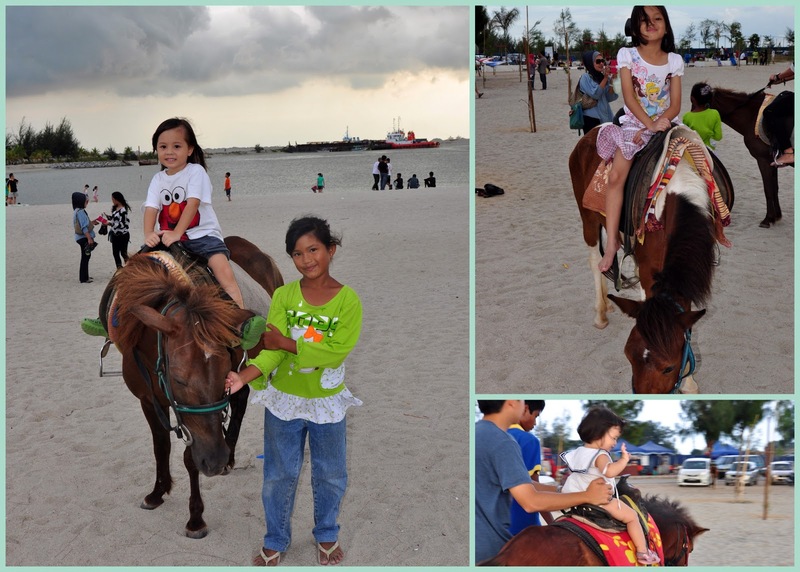 Sumayya was excited at first but when the horse jalan towards the beach she wanted to get down. Last-last siap wave bye-bye to mama. Later that night we wanted Asam Pedas for dinner, friends suggested Asam Pedas Kota Laksmana but there were so many! Yang mana satu nii? Haha, saw a few shops and Mr Driver decided to stop at Hajjah Mona's. The taste......mcm tak sedap tapi sedap. Haha, how now? The kuah smelled like cili boh je but bila hirup sedap even though it didn't taste like the regular Asam Pedas. We were all so hungry from spending time at the beach, bila kena dengan the rice, telur masin and sayur the plate was licin in 5 mins kot! =) Alhamdulillah. 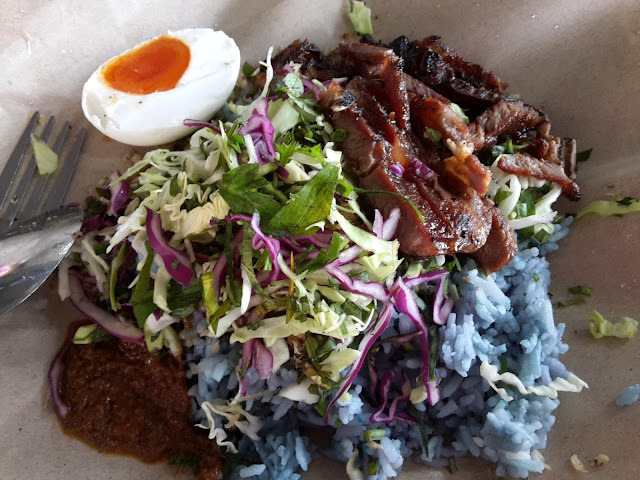 I think the best part was the rice though, sebab it was fluffy and soft, bukan the regular nasi keras macam kat kedai lain. Boleh pergi lagi? 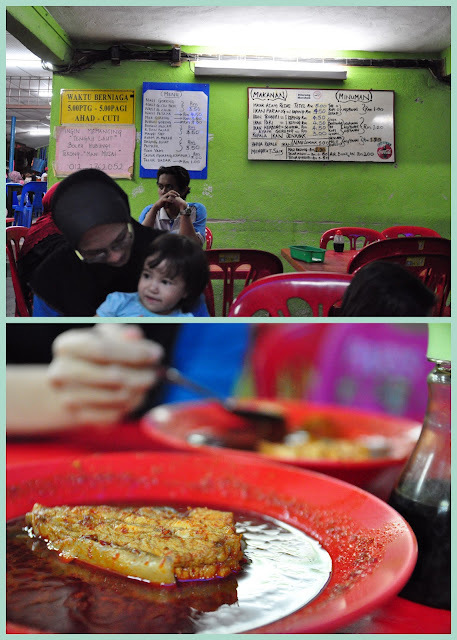 Boleh kot =) Salma had fried chicken with her rice and Hanan had satay.